Today is the last day of the ChaBooCha Lite challenge. How have you done? 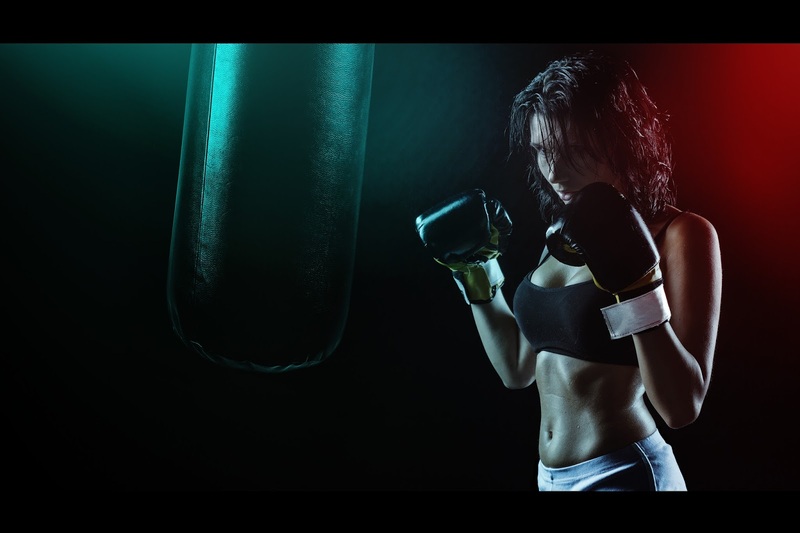 Have you reached your target? If your first draft complete? Let me know in the comments below. 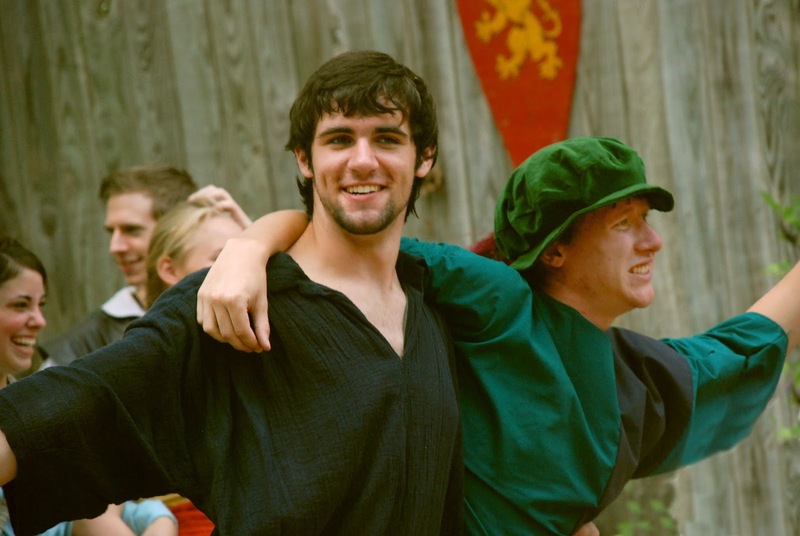 Winner of a copy of "Shakespeare: A book of Quotations" is Anita Banks. 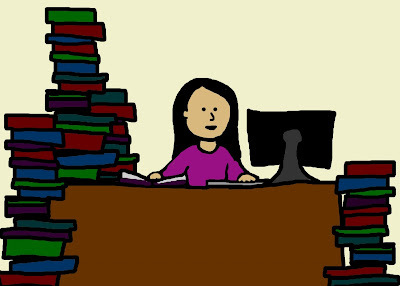 Winner of a "working" book cover, created by me, is saputnam. 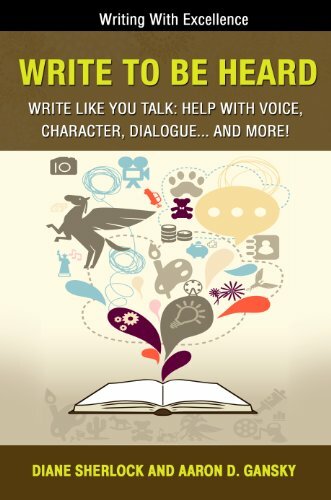 Winner of a copy of "Write To Be Heard - Write Like You Talk: Help With Voice, Character, Dialogue... and more" by Aaron D. Gansky is Anita Banks. Winner of Melissa Stoller's debut chapter book, "The Enchanted Snow Globe Collection: Return to Coney Island" is Melissa Gijsbers. Congratulations to all the prize winners! E-mail me your mailing address and I will, eventually, get your prize sent out to you. 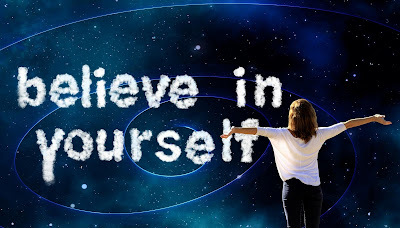 One thing that every writer has in common is that we all go through periods of self-doubt. We wonder if we are good enough, if our stories are good enough, and often times we decide that we aren't and that they aren't. This defeatist attitude can keep many of us from ever finishing our stories. Some of us will finish our first drafts and then decide that our writing just isn't good enough and stop there. But every writer, even many famous ones, is plagued by doubts. It's not just the obscure, never-read authors who doubt their abilities. And no book is ready to go out into the world by the first draft. It's what we do after that counts. We have to edit our books, sometimes revise large portions of them, and then get someone else, preferably a professional, to edit them some more. There is a massive amount of work that goes into a book after the first draft is written before it reaches publication. So don't despair if you are doubting yourself and your ability to write. It really is all in your head. 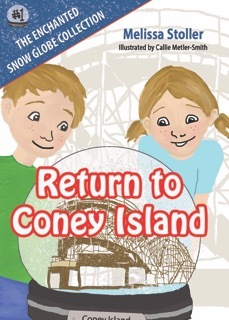 Melissa Stoller has generously offered her debut chapter book, THE ENCHANTED SNOW GLOBE COLLECTION: RETURN TO CONEY ISLAND as a prize for one lucky person. If you are signed up for ChaBooChaLite and you comment on this post, you will be entered into the drawing for the prize. The winner will be chosen by a random number generator on September 30th. Only one week left to finish your story! Are you close to finishing it yet? If you are finding it is getting more difficult to write the story as you get further into it, let the picture above help you. 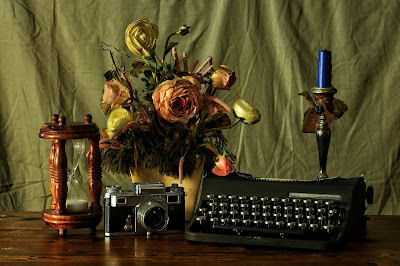 First, look at the typewriter. Most of us use laptops and desktop computers now, but have you considered writing one chapter using a different device or in a different way just to give your brain a jump start? Maybe get out a notebook and write out one chapter by hand. 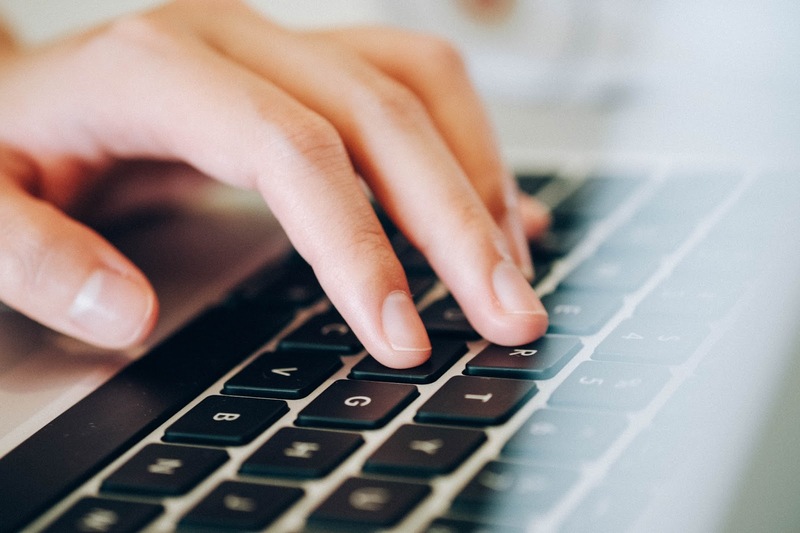 You'll be surprised how helpful it can be when you are feeling stumped at the computer, plus you get the bonus of being able to edit it a bit when you type it all into the computer later. Next, look at the camera. Is your story set locally? Or is it set in nature? Go out and take some photos. Use them as references while you write. Is there a wild animal in your story? Go to the zoo and watch it's natural behaviour. Take photos of it. Think about how to use what you've seen in your story. Third, look at the hourglass. 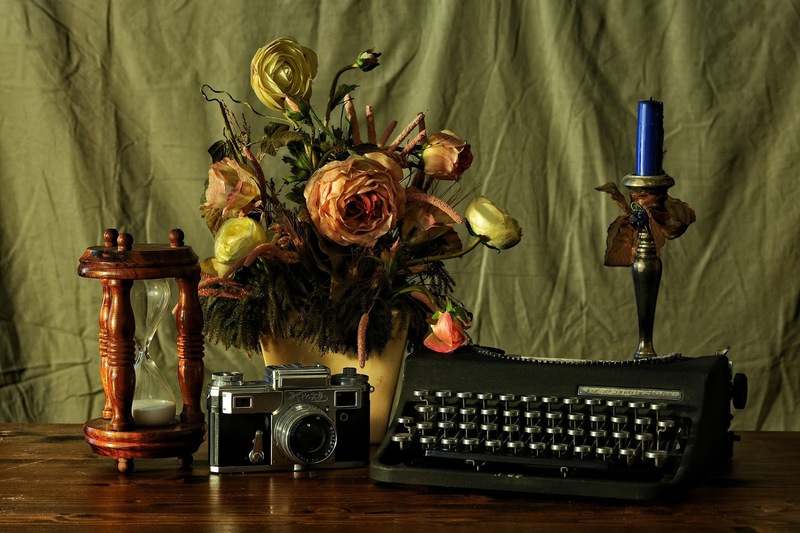 Are you having trouble finding time to write? Try setting up some timed writing sprints. Set a timer and spend 15 minutes writing, if that's all the spare time you can manage. Even writing for just 15 minutes a day can get you a considerable amount of writing built up by the end of the month. We've just had the Autumn Equinox (last Sunday), so maybe take a break from your writing for an hour or two and just go walk amongst the fallen leaves and take in the nature that is around you. 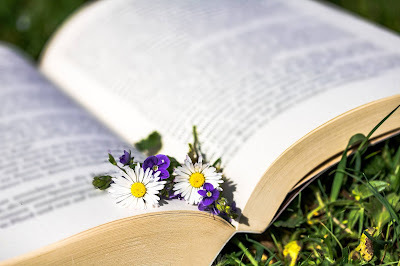 I hope your story has grown during this month's challenge, and for many of you, that it has taken you in directions you had not originally planned (that's part of the fun). Let me know in the comments how you are doing and how far your story has progressed. In chapter books, authors use a combination of dialogue and description to hook the reader and move the story forward. When writing dialogue in chapter books, several factors must be taken into consideration, including the style of language used, the goal of the writer to show action, humor and heart, and the objective of portraying readable dialogue. When crafting dialogue in chapter books, the age of the reader, usually between four to nine, is important. The language should be easily understood although there can be challenging words as well. And the sentence structure should be relatively uncomplicated for this age group. The speech patterns of the characters should give the reader a clue about the characters’ personalities and goals. And the dialogue can show action in the story through the indication of body language and movement. Also, humor and heart can shine through solid dialogue, especially when the writer includes specific and interesting details. 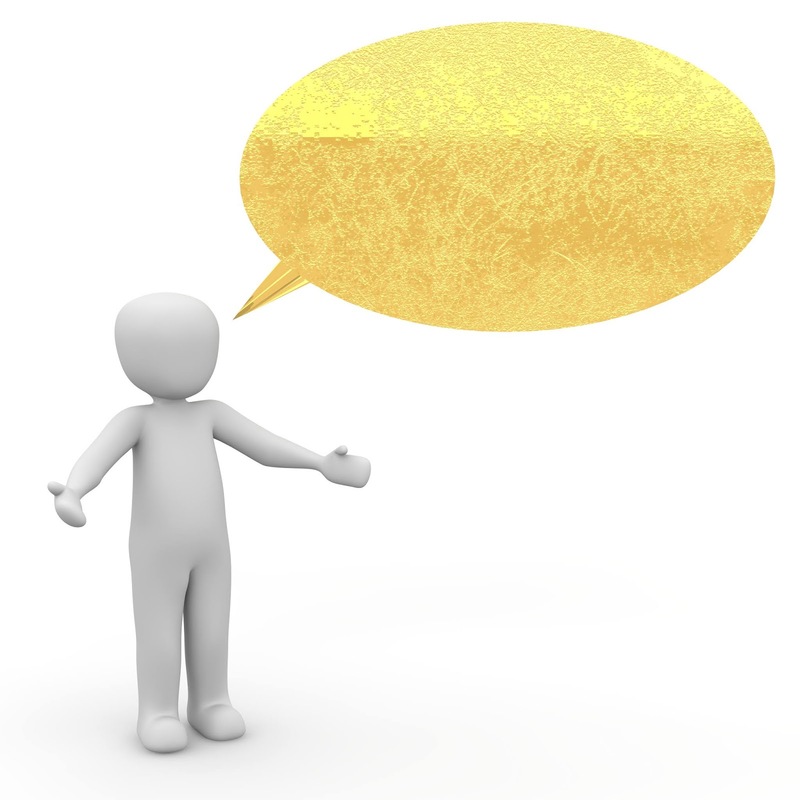 To draft dialogue accurately, try some of the following tips. Place yourself in situations where you can observe children. Listen to your own children or grandchildren, or the kids of friends. Volunteer at a local school, library, or bookstore. Observe children on the playground or in restaurants. Notice what they are saying to each other and to those around them and take notes. Those snippets of conversations could fit right in to your next chapter book manuscript. Also, read current chapter books and consider how authors write the dialogue in their books. You can read the dialogue aloud to hear how it sounds and what the words convey. Finally, think like a child. Write the dialogue as a child would speak, not how an adult would converse. Keep the dialogue authentic, interesting, and easy to understand. 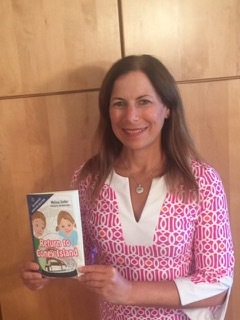 Maddy McGuire, CEO: Pet Camp, By Emma Bland Smith, Illustrated by Lissie Marlin (ABDO Publishing, 2018)(this dialogue sets up the pet camp plot. Vivid details and movement help draw the reader in and make the idea believable). At least Maddy hoped she would. “Actually, that’s a pretty good idea,” said Drew. “School is almost over, so the timing is right. It could have a theme. Like coding!” Drew had been to a coding camp last summer. “Okay, then what?” asked Drew. She looked at her red horse notebook. She jingled the animal charms on her bracelet. She glanced at the stuffie basket. It overflowed with kittens, puppies, and rabbits. Warren & Dragon: 100 Friends, by Ariel Bernstein, Illustrated by Mike Malbrough (Puffin Books, 2018)(the personality of Dragon already shines, as he eats his marshmallow and huffs and puffs. Also, the heart of the story about friendship and the sibling relationship is evident even in this brief dialogue). “I don’t mind moving,” I say. And it’s true. I won’t have to listen to our neighbor Ms. Reilly call me “Warri-Boo” anymore. “That’s because you don’t have any friends.” Ellie says. “I am so offended,” Dragon says in between bites of marshmallow. Ellie shakes her head. She looks a lot like Mom when she does that. Dragon huffs and puffs as best he can. 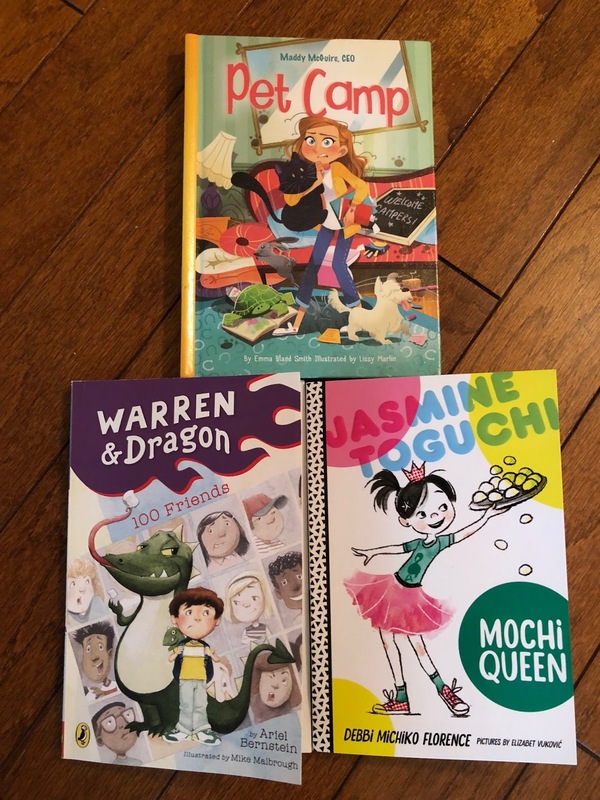 Jasmine Toguchi: Mochi Queen, by Debbi Michiko Florence, pictures by Elizabet Vukovic (Farrar Straus Giroux Book for Young Readers, 2017) (this dialogue is written using age-appropriate language and vivid details, and the emotion of the younger sister will resonate with the reader). “I’m going to help make mochi,” I said to Sophie. “I’m big enough.” Yesterday I noticed I came up to Sophie’s chin. During the summer I came up to her shoulder. I was growing! “Just wait your turn,” she said. This year, Sophie would sit at the table in the backyard with Mom and all the other women. She would probably get to sit right next to Obaachan, our grandma who came from Japan every year for the holidays. I wished there was something I could do before her. Something she could never do. Enjoy writing dialogue during ChaBooChaLite 2018! Happy creating, and I look forward to reading the dialogue in your future chapter books! Melissa Stoller is the author of the chapter book series The Enchanted Snow Globe Collection - Book One: Return to Coney Island and Book Two: The Liberty Bell Train Ride (Clear Fork Publishing, 2017 and 2019); and the picture books Scarlet’s Magic Paintbrush and Ready, Set, GOrilla! (Clear Fork, Fall 2018). She is also the co-author of The Parent-Child Book Club: Connecting With Your Kids Through Reading (HorizonLine Publishing, 2009). Melissa is a Regional Ambassador for The Chapter Book Challenge, an Assistant for the Children’s Book Academy, an Admin for The Debut Picture Book Study Group, and a volunteer with the Society of Children’s Book Writers and Illustrators/MetroNY. Melissa has worked as a lawyer, legal writing instructor, freelance writer and editor, and early childhood educator. She lives in New York City with her husband, three daughters, and one puppy. When not writing or reading, Melissa can be found exploring NYC with family and friends, traveling, and adding treasures to her collections. Today's prize is a copy of Write To Be Heard - Write Like You Talk: Help With Voice, Character, Dialogue... and more by Aaron D. Gansky. If you are a signed up member of ChaBooCha Lite, the only thing you need to do to be entered to win this prize is comment on this blog post. Winner will be chosen by a random number generator on September 30th, 2018. I know that many of you have struggled. There have been all sorts of weather events going on around the world, and if you happen to be near any of them, I'm sure it has made this challenge even more difficult as you focus has had to be elsewhere. Likewise, I know some of you have struggled with health issues, with family issues, with financial issues and with other distractions. I get it. Writing can be HARD. So if you have stuck with us this far, I am truly impressed. It isn't easy for any of us, but getting those words down and our story written is worth it. I promise you, it will be worthwhile. 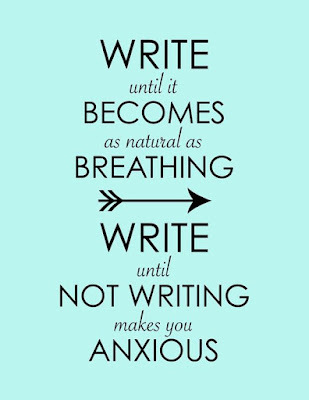 Just keep writing. Make a habit out of it. 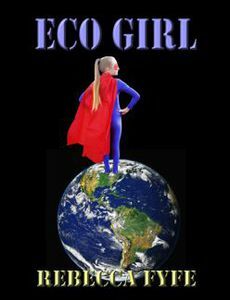 The above picture is of a working book cover I made for the novel I was writing a couple of years ago during Blog Your Book in 30 Days and Camp NaNoWriMo. 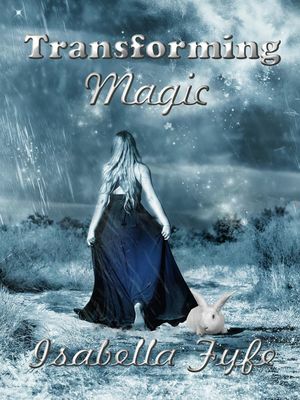 It is not the official cover for the book. The final book cover will probably look nothing like the above image. But it was fun to make and having an image to have in place for the book cover gave me a bit of a kick in the pants to keep writing. 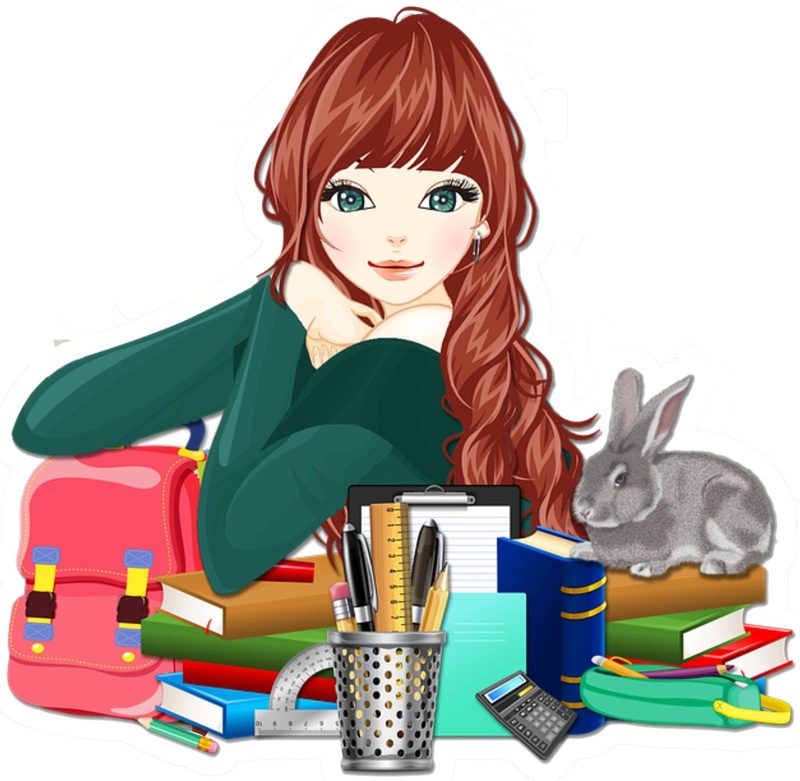 During NaNoWriMo, members are encouraged to create a book cover to use as a thumbnail image for their project. I think it can be just as useful during ChaBooCha. Having a working cover is an inspirational tool to use. Your story is calling to you to write it and now it has ammunition in the form of an image to call to you with. 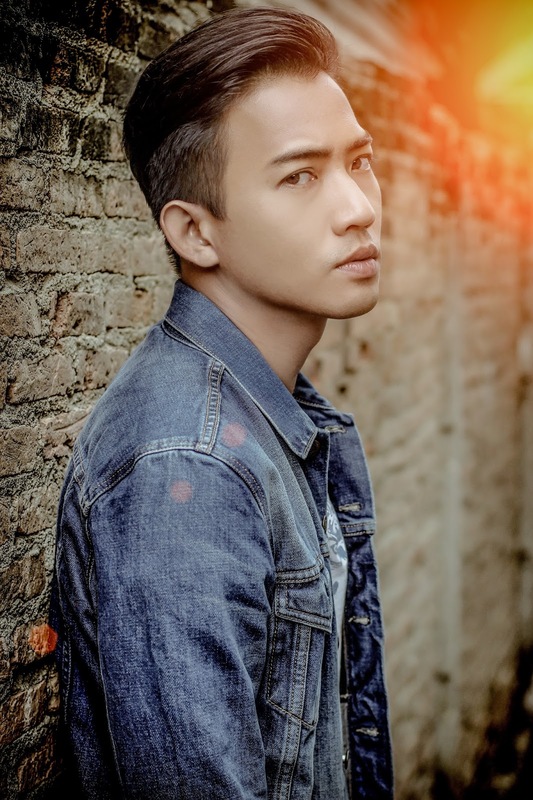 Another trick, if you don't want to make a simple image for your book cover, or you don't have the necessary skills to do so, is to look up images of people who look like the vision you have for your characters. Of course, for children's books, you will most likely find images of younger people such as children or teens. Just make sure that you don't spend so much time on this that you don't get your writing done. It can be a fun and inspirational tool to use during your writing, but, used incorrectly, it can also become another distraction that keeps you from writing. I create book covers, sometimes with more success than other times, using photo-manipulation, with your photos and/or stock images. 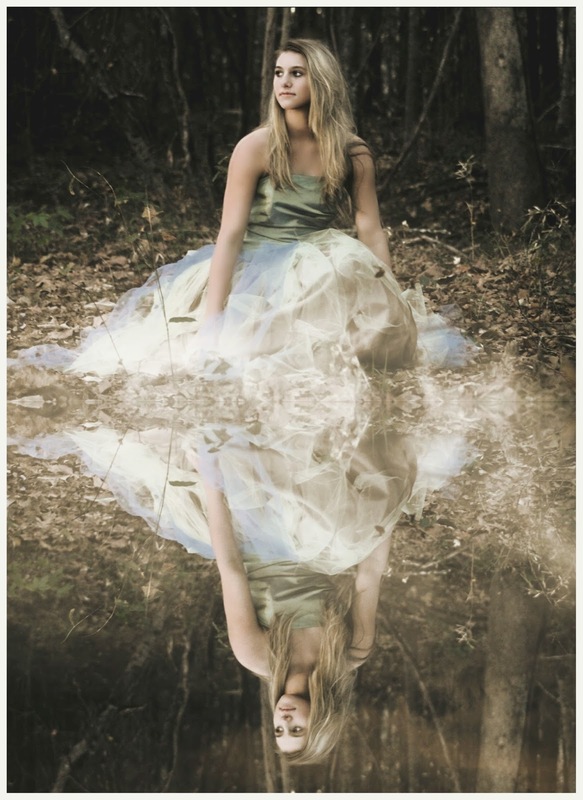 Whether or not I can create your vision depends on what your vision for your cover is. I'm offering to create a "working"cover for one prize winner. If you are signed up for ChaBooCha Lite, just comment on this blog post in order to be entered to win. Winner will be chosen by a random number generator on the 30th of this month. Coming up with names for your characters can be hard. To be honest, there are days when I think that, if I’m having trouble naming a character in a book, it’s amazing that my kids were ever named! Every now and again, a name will just come to me as I write the story, and it works. If it doesn’t, I figure I can always change the name later if I need to. 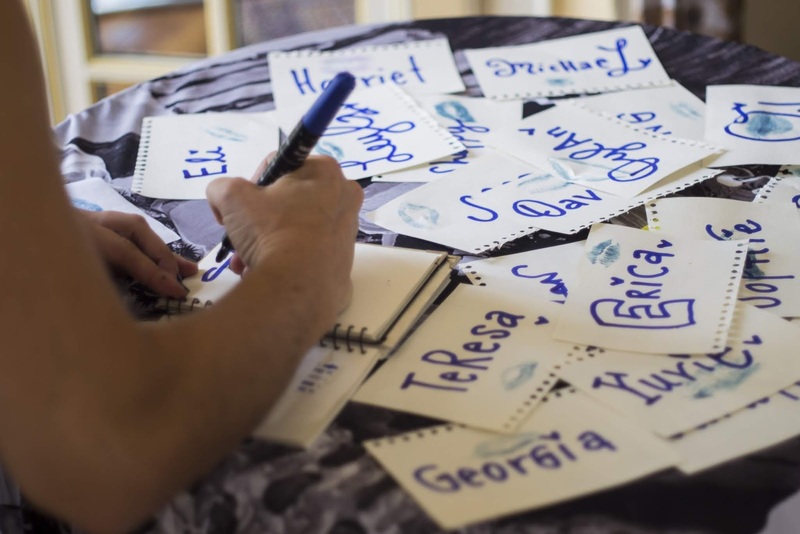 Books and apps can be useful when you are trying to find a name that is a specific ethnicity, or you are looking for a name that has a specific meaning. When all else fails, close your eyes, open the book, and put your finger on the page, and use the name closest to your finger! If you are looking for a name from a certain year or era, then doing a search for the top names of that year or decade, can give you a lot of great ideas for names you may not have thought about before. There are also lists of the worst names in a year, or strangest names. These can be useful if you are looking for names for a fantasy or science fiction story or are looking for a name that is a bit different from names that would appear in books, apps, or popular name lists. When I’m really stuck, I will post something on Social Media asking for suggestions. The ideas that come back may be used in the story or may point me in the right direction so I can find a name for my character. 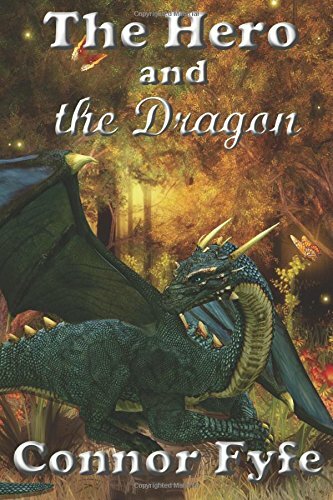 I also know of people who have auctioned off the opportunity to name a character in a story! As much as I try not to do this, you could name characters after people you know. This can be both a good and bad thing as people you know could take it as a positive or a negative, especially if you name a less than pleasant character after them! What are some of the other ways you come up with names of characters? 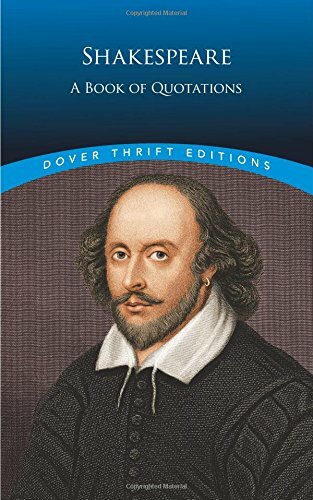 Today's prize is a copy of Shakespeare: A Book of Quotations. 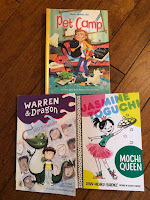 If you are a signed-up member of the Chapter Book Challenge or ChaBooCha Lite, just comment on this blog post in order to entered for the prize. Winner will be chosen by a random number generator on the 30th of September 2018. 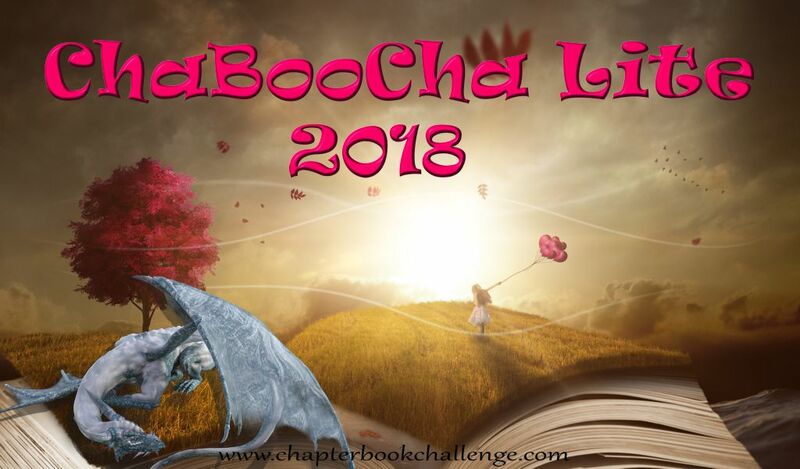 Today is the first day of ChaBooCha Lite 2018! ChaBooCha Lite is another chance to write an early reader, chapter book, middle grade book or YA novel within a month. 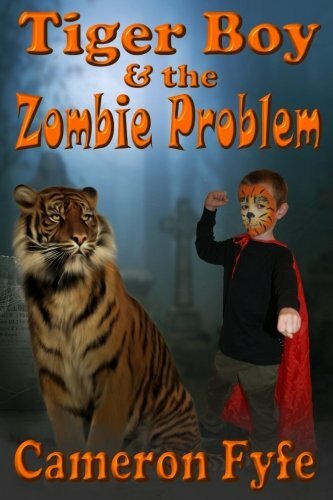 The premise is the same as the premise of March's Chapter Book Challenge. 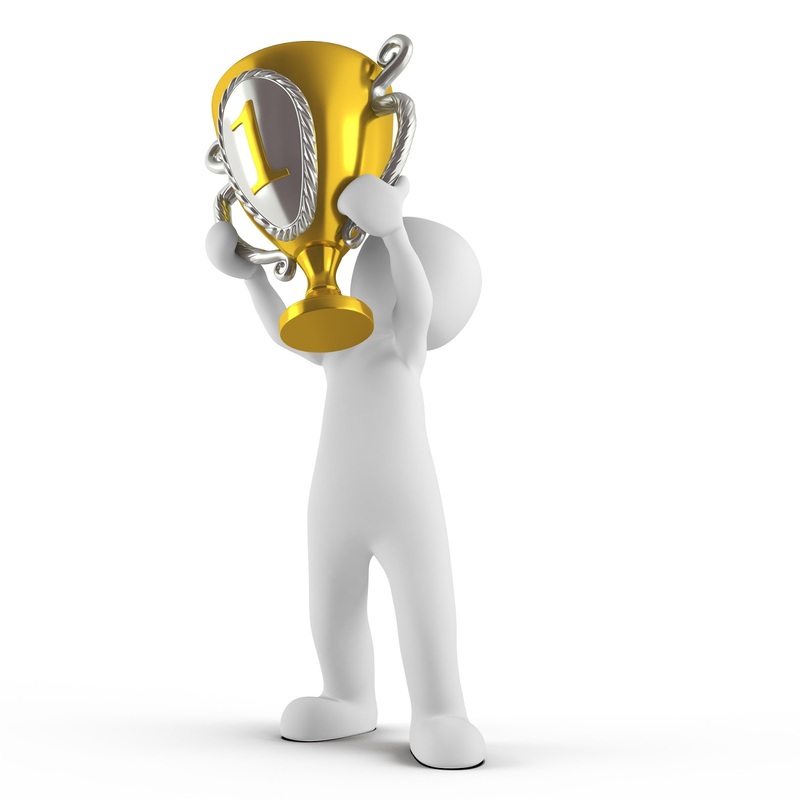 (The Lite challenge will have less prizes and less guest blog posts.) You will still be trying to write your book during the 30 days of the month, but instead of running in March, ChaBooCha Lite runs in September. It's also completely acceptable for you to finish a book previously begun or to edit one you have already written, as long as you complete the work in September. It's another chance to challenge yourself, and to give yourself a deadline for writing your book. Want to join us? Sign up here. If you'd like to add this year's ChaBooCha Lite badge to your website or blog, right-click the size of badge you'd like below and save it to your computer to add at your convenience. Congratulations on joining us and sticking with us for the entire challenge. However you may have fared in your writing goals, you have made it to the last day of the challenge and you're still participating, which is wonderful! 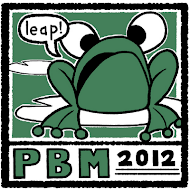 The above picture is the winner badge for those of you who achieved your goal of finishing your book during the month. Feel free to save it and use it on your blog or website. 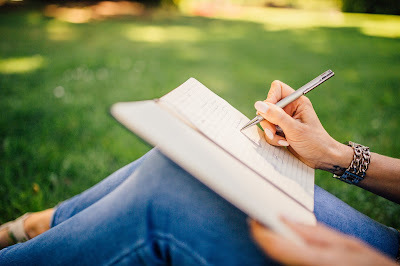 I hope you have found the guest posts during this month helpful, and I really hope that the challenge itself has inspired you to write more than you would have done without the challenge. You can join us in September for ChaBooCha Lite. ChaBooCha Lite is basically the same challenge but there will only be one weekly blog post and prize. You can also set different goals for yourself, like working on a book you've already begun, revising an already-written story, etc. Now, it's time to announce the prize winners for this year's Chapter Book Challenge. 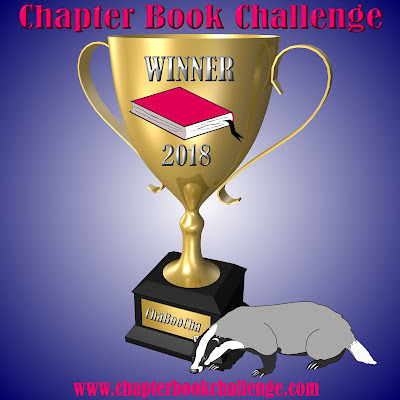 Everyone, thank you so much for taking part in the 2018 Chapter Book Challenge. I hope you will all continue to be ChaBooCha members for challenges to come in the following years. When I first got back into creative writing in 2012, I spent most of my lunch breaks in the local library getting books and resources to help with my writing. It could be anything from books about Magic Lanterns to books about bullying and friendship. I would also spend time talking with the librarians about my writing, my goals and dreams, especially my dream of becoming a published author. It was with great surprise when I was approached to run a school holiday workshop. At that point, I hadn’t published a book! The workshop was a success, and the library asked me about running a regular group for young writers. I said yes and have been doing it ever since! The group is quite casual, giving the kids the opportunity to ask burning questions about writing, editing, publishing, and reading. We share writing tips, book recommendations, and even do some writing with fun prompts, such as using chocolate bars (that’s one of the favourites). In the Kidlit community, I hear so much about doing school visits, but not so much about running groups outside school. One thing that I’ve found through running this group is that there are teens out there who really want to write, and there are libraries who are wanting to run activities for teens. Working with teens is so rewarding. Each person I work with is looking for their own writing style. Many of them are also finding the information given to them at school doesn’t necessarily fit that style. Having the opportunity of a regular writing group gives them the opportunity to explore different genre, different writing prompts, and different styles. I know that my writing style never quite fit in with what my teachers wanted, and the kids have enjoyed hearing about my experiences as a teen writer. The teens are also growing in confidence as writers. I love watching this grow from week to week. There are many kids who come along and, on their first time, hardly say two words. As time goes on, their confidence grows as they start asking questions and sharing the pieces they have written during the session, to bringing in work they have done at home or at school to share with the group. To start a regular writing group, contact your local library or even your local school, and see if they are interested. They may have a group of teenagers that come to the library after school who would enjoy the opportunity to talk about writing regularly, or the school may want to start a lunchtime or after school club with students who are enthusiastic writers. For this service, I charge less than a traditional school visit as the group is smaller and it’s a regular income instead of a once off. It’s also less structured than a school visit would be, to give the students the opportunity to ask the questions they want to ask, in an environment that is comfortable for them. Oh, I nearly forgot, I always have some sort of reward for the kids who participate, usually a chocolate frog or a lollipop. 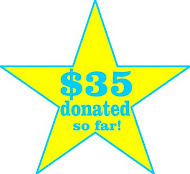 It’s amazing how much this small reward can get kids involved! When looking at writing groups, find out about what requirements there are, such as Working with Children checks and insurance. The requirements may be different depending on where you are. Having these in place before you contact the library or school will make it much easier to get started. 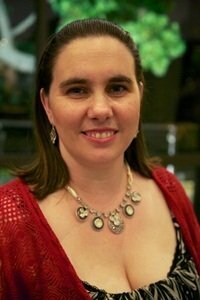 Melissa Gijsbers is an Australian author who has three middle grade books published, all written during the Chapter Book Challenge! She has two teenage boys and runs a regular group for young writers at her local library. You can find her online at www.melissagijsbers.com and on Facebook at www.facebook.com/melissagijsbers. 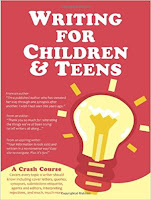 Today's prize is a copy of the book "Writing for Children and Teens: A Crash Course (How to Write, Revise, and Publish a Kid's or Teen Book with Children's Book Publishers)" by Cynthea Liu. If you are a signed-up member of the challenge, all you need to do to enter the prize drawing is to comment on this blog post. The winner will be selected by a random number generator at noon on March 31st and announced within 24 hours of the drawing. Your dream has come true. Not only is your book agented, published, and sitting on a shelf in your local bookstore, but your agent is starting to look at international rights. International rights - Like it getting translated and sold to publishers around the world. All new countries and all new markets for your book. Plus all the fun that comes with shiny new covers for each edition. But it’s the waiting game all over again. And while you’re waiting for a literary scout to say ‘I know just the publishers for this,’ it’s sitting on my desk. Because literary scouts have so much reading to do, they sometimes need an extra pair of eyes – and that’s where I come in. I work professionally as that ‘extra pair of eyes.’ Not the most prestigious title, but it’s one I cherish. I’ll only recommend a book to the scout if it has that special something. And whether you’re at the international rights stage or just finishing your first draft, it’s never too early to start thinking about it. That special something is a key that will get you through many doors. It can get you agented, published, and 5 star reviews. It’s what makes people gush about your book to their best friends and buy it as Christmas presents for everyone they know. It’s the most important question any reader will ever ask themselves while reading your book, and you need the answer to be a good one. Emotional resonance is, in my opinion, (and let’s be real, I’m just one opinion! I’m not the arbiter of taste!) the most important element of your book. And the crazy thing is, emotion doesn’t arise from plot, no matter how high the stakes. It doesn’t arise from your world-building. Your character can be fighting to save her sister from the most awful of terrible baddies, or facing bullies who belittle and demean her every day, but that alone won’t get the response you want. Emotion arises first and foremost from character. From their history, from their reactions, from their actions. From the way they are feeling, and how they express it. It’s moments when your character feels like they’ve been punched in the guts but actually nobody has touched them. When their chest is tight and their breath is shallow as they stare down their biggest fears. It’s the leg-wobbling relief when their dog makes it out of from the collapsed building, and the warm, spreading wonder as they look at people who used to be strangers and are now their closest friends. You’ll be amazed at how many doors it will open for you. Victoria Boulton is evaluates manuscripts for literary scouts and works as a professional editor and audiobook narrator. She’s also a writer herself, and her house is so brimming with books that soon they will be pressing on the doors and windows. 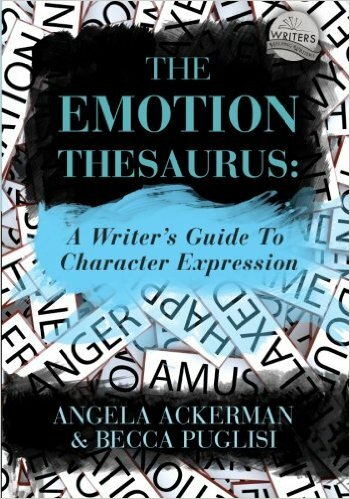 Today's prize is a copy of the book "The Emotion Thesaurus: A Writer's Guide To Character Expression" by Angela Ackerman and Becca Puglisi. If you are already a signed-up member of the challenge, all you need to do to be entered to win this prize is comment on this post. The winner will be selected by a random number generator at noon on March 31st and announced within 24 hours of the drawing. 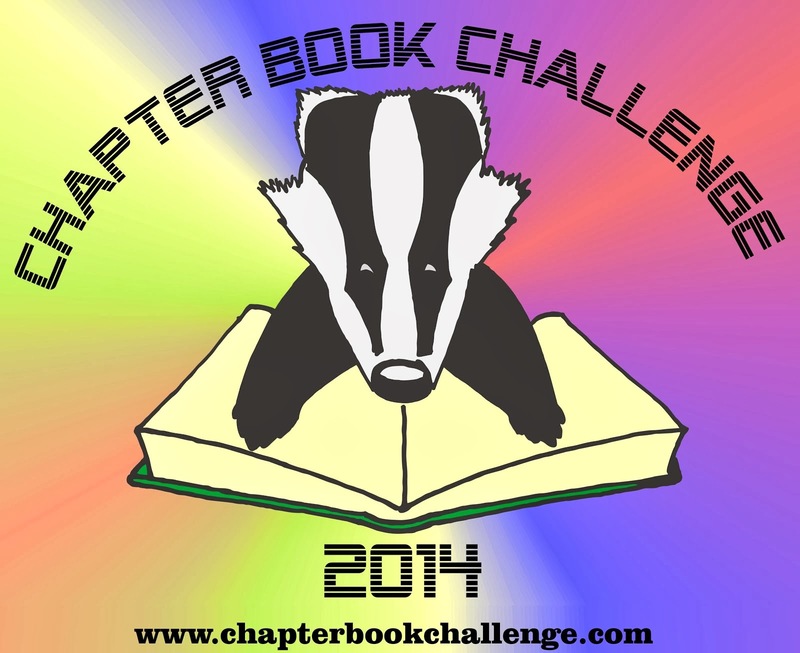 We've made it through four whole weeks of the Chapter Book Challenge now. Well done if you've continued to participate this far. I thought it might be helpful to share some links to previous ChaBooCha posts having to do with writing endings, editing, marketing, critique groups, creating covers, querying, and crowdfunding, as these are things that may come up as you get to the end of your story. I hope that you have found that the challenge has helped you progress with your story. 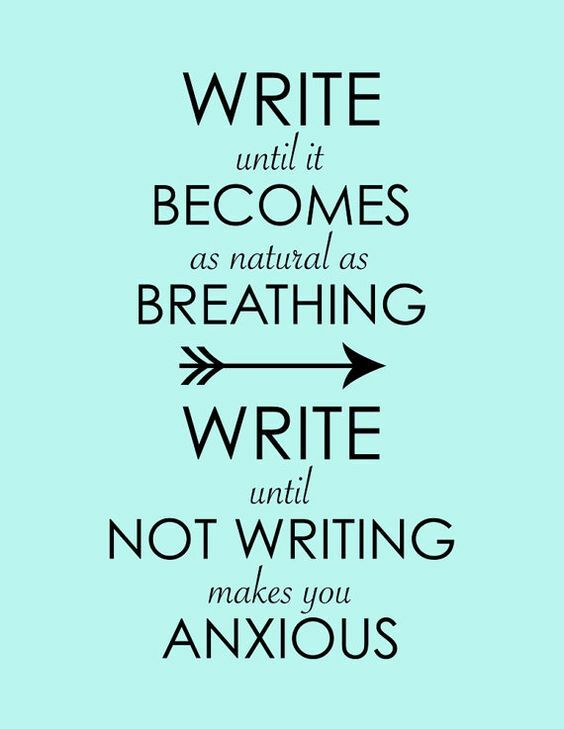 With just a few days left of the challenge, make sure you keep writing! Let us know in the comments how you have been doing. 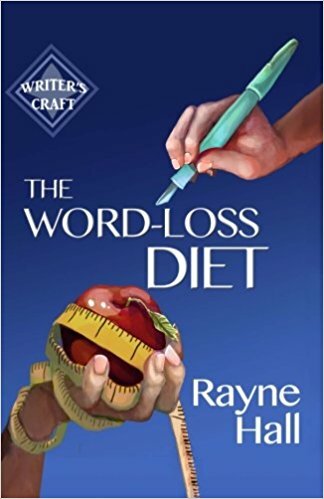 Today's prize is a copy of the book "The Word-Loss Diet" by Rayne Hall. If you are already a signed-up member of the challenge, all you need to do to enter the drawing is to comment on this blog post. The winner will be selected by a random number generator at noon on March 31st and announced within 24 hours of the drawing. My post is really quick as I am drowning a little… and Becky may have to edit a lot (otherwise, I hope you read fluent typo). I just got a publishing contract. Hooray. Through a company called Whitelight Publishing House. Thought it would be a good one to write about. I have been telling stories, performing them, writing them for years and years and years. I have quite a handful of finished but not edited novels and middle grade books. I have heaps more picture story books. I am in a handful of anthologies. I’ve won places in quite a few awards such as a 1st for a middle grade story in the CYA conference, and was named emerging writer of the year in 2013 (same year as win if I remember.) that story was a chaboocha story! Sounds pretty good hey, except I haven’t had the courage to send to publishers. Because… they aren’t finished. More to the point I still don’t feel quite good enough. I love my Chapter Book Challenge. It makes me take time for me to write, but this year something different happened. I entered a contest. It was with a company (Whitelight) who I have had my eye on. They are a vanity publishing house, and you can self-publish through them. I am not really interested in self-publishing my stories, but I am interested in creating a fairy oracle set I have been working on. It has a story too. And I think I want to control it because I want it to be exactly how I see it. I also have the perfect platform to sell it through my business. I’d also like to incorporate some kind of kickback to kids with cancer with it. So I entered an old story about a ghost. I love the story, but my writing back then was um…. Sucky I think best describes it. Terribly sucky. It was the last day to enter when I found it. But I knew the judging was still a few weeks off, so I entered, then asked if I could give the updated version before the judging. They said ‘yes,’ so I had a week to edit the first few chapters and send it in, hoping that they could read between the lines for the unedited bits. Well, I made the finals. Four of us. From here, it was given out to the public to see which one the public wanted to see in print. I won with 44 percent of the votes. To say I am thrilled is an understatement. My ghost story has become my ChaBooCha as I scramble to edit the rest of it. – Now with a deadline! It is not how I thought I would first become published. But it is an open door and I have my foot firmly wedged in it. It is so worth taking the opportunities that arise. Enter competitions. You never know. And besides from winning, you get to learn about the submission process, following guidelines and rules. Get your work out there everyone! Now, I am off to make a book cover. I’ve made about nine now I think (some for our Teacup Tales too). So to make the hype a little more active around my book, I am going to run a little model contest! Contact me if you want to know more about the contest. 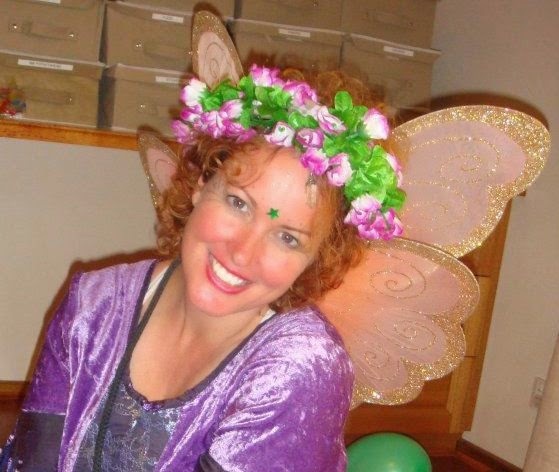 Kelly McDonald has been entertaining with stories and magic for more than 24 years as the Magical Faerie Crystall. She is married with two beautiful children and spends as much time on her writing and art as possible. 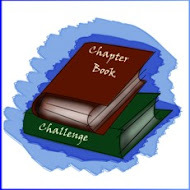 She has been involved in many challenges and groups, including 12x12, Chapter Book Challenge and WOWnonfiction. Kelly has been awarded a first and third in the Australian CYA conference, and has numerous Commended and Highly Commended awards for her writing. Her fantasy art can be found at http://www.facebook.com/gardenbabies or http://www.gardenbabyfaeries.webs.com and her author page is www.facebook.com/kelly.mcd.author.illustrator. 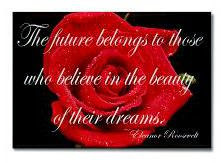 If you are a signed-up member of ChaBooCha, comment on this post and you will be entered to win your choice of an inspirational magnet from this section of my shop. (The magnet pictured above is just one example.) Winner will be drawn by a random number generator at noon on March 31st and announced within 24 hours of the drawing.